People want and expect safe clean water when they drink from the tap but keeping water supply systems safe is becoming more of a challenge because of infrastructure changes. The primary cause of waterborne disease in the United States are opportunistic premise plumbing pathogens (OPPPs). Legionella pneumophila is one type and can develop in water supply systems and cause Legionnaires’ disease. Legionella is a naturally occurring bacteria found in freshwater sources such as rivers and lakes. In natural environments, Legionella is only found in small, harmless amounts. 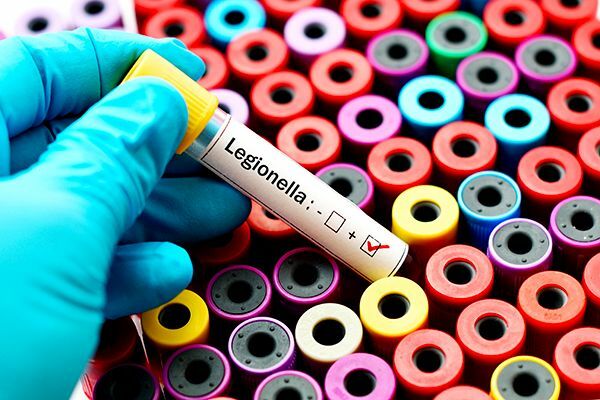 However, under the right conditions, Legionella can multiply to dangerous levels and cause Legionnaires’ disease. The disease is contracted by inhaling small droplets of the contaminated water through mist or vapor. People who have an underlying illness or weakened immune systems such as the elderly, individuals with chronic lung diseases, and others with a compromised immune system are most susceptible to Legionella infections but healthy people are also at risk of contracting the disease too. Excessive water age. The longer water sits in a system or piping within a system the greater the likelihood. Biofilm. A substance that forms on the inside wall of water supply piping that protects Legionella from heat and disinfectant. Lukewarm water. It is enabled by lukewarm water temperature in the range of 77-108 degrees Fahrenheit. Insufficient disinfectant. Effective water strategies are necessary to control Legionella in a water system. Inadequate corrosion control. Corrosion can occur in system pipes from many factors including disinfectants used, water temperature, and pH levels. Cross connections. Cross connections between potable and non-potable water can introduce Legionella into the water supply system. This entry was posted in Plumbing and tagged Legionella, Water Supply Infrastructure.